KAMPALA – Police in Kampala has started registration of all sport motorbikes in the city. The registration process expected to last for a week follows a series of murders committed by people allegedly moving on motorcycles. Police was prompted to issue a directive for all sports motorbikes to be registered all over the country beginning with the Kampala Metropolitan Policing Area. 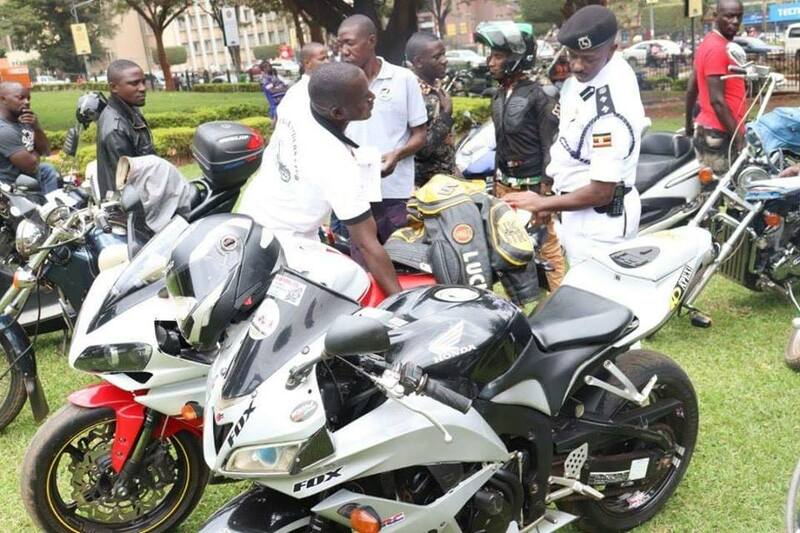 Riders in Kampala began registering their bikes yesterday at the Constitutional Square and asked police for an extension of the registration period to at least a month so as to allow all their colleagues register. Kampala Metropolitan Traffic Police Commander SSP. Musinga Norman said the exercise requires the sport motorbike owners to get registration numbers, chassis numbers, engine numbers, insurance policy and a few other items that riders ought to present before being registered. All this information shall be stored in an electronic database for record purposes. “I have officially launched the registration process of sport bikes and demonstrated the process to various Regional Traffic Officers and Divisional Traffic Officers. Forms have been designed, information shall be captured, fed into our database and those registered shall be issued with a clearance form signed by area DPCs. In case of any operation that clearance form will be of great help,” Musinga said. Mr. Morrison Sseruyange the Spokesman of Central Riders Association, the body that brings together over 100,000 riders denied the claims that many of their members were involved in criminal activities. He assured police that they would heed to the registration directive as a way of showing their support in fighting crime in the country. “We urge all riders to register so as to show the public that we are law abiding citizens who are ready to cooperate with security agencies to fight criminality,” Sseruyange said.